As part of stock mutual fund, investing in domestic stock funds are essential for assets allocation. These domestic stock mutual funds are also known as U.S. stock mutual funds. These best rated domestic stock mutual funds include American Funds Growth Fund of America fund, Vanguard 500 Index Fund, Vanguard Total Stock Market fund, etc. As we know, there are three types of mutual funds. They are stock mutual fund, bond mutual fund, and balanced fund. Stock mutual funds can be classified into 2 main classes such as domestic stock funds or US stock funds, and international stock funds (including emerging markets). The domestic stock funds invest mainly in US companies. There are 9 categories of domestic stock mutual funds. The categories are: large growth, large blend, large value, mid-cap growth, mid-cap blend, mid-cap value, small growth, small blend, and small value. These domestic stock funds may specialize in a particular sector of the market such as technology, financials, health care, utilities, communications, natural resources, real estate, and miscellaneous. My position is still healthy and is gaining momentum especially MCK (Mckesson) and FLIR (FLIR System). MCK reaffirmed the earning and announced new shares buyback. FLIR has posting good earning last week. I continue to like the chart and look to be slightly breakout today after 2-3 days flagging. URS also reverse course and closed out only slightly negative for the day. My SRS hedge also turned positive. I'll keep holding this hedge just in case the market turn violently. I'm also eyeing some bond CEFs and solid stocks. I'll see how these CEFs will react to downside after more down day. Usually, it will create an arbitrage opportunity for short term trade. Some solid stock also turn negative such as Pepsi (PEP), FirstEnergy (FE), TEVA and SWN . I'll look into these stocks if the market turn negative. Overall, it was a good day for MEPB Financial. This post is about an unknown phenomenon on stock market especially the S&P 5000 SPDRs ETF (SPY). You can find another crash on SPY ETF or bad print on October 18, 2010. I noticed this chart when I do my end of day analysis. I hope this is a bad print and not another crash. With developed countries (USA & Europe) economy is cooling down or at least slow down, everyone will look at growing sector or market to invest. One of these markets is diversified emerging market. Emerging market usually include most developing countries in Asia, Africa and Eastern Europe. Some of these countries are known as BRIC acronym (Brazil, Russia, India and China). Most analysts predict emerging market will drive all future growth for the next decade. Investor should look to invest in emerging market. Emerging market is part of international market; this mean investing in this emerging market can be volatile at the times. Please invest responsibly. I think emerging market should be part of your investment portfolio whether it is in your 401k retirement or brokerage account. The question is how to invest in emerging market; there are two easy ways to invest such as using ETF and Mutual Funds. The Vanguard Emerging Market Stock Index portfolio tracks the MSCI Emerging Markets Index, which is weighted toward the largest companies in the largest emerging markets. The fund performance is as follows (VEIEX): 1 Year: 19.73% per year 3 Year: -2.19% per year 5 Year: 13.50% per year 10 Year: 13.66% per year. This American Funds’ New World Fund is a diversified international fund that has managed to stay less volatile than most other emerging-market rivals. The Lazard Emerging Markets Equity Portfolio fund has performed better by picking undervalued stocks of companies based in a wide selection of emerging-market countries. The Lazard Emerging Markets Equity fund objective is to provide long-term capital appreciation by investing in companies with strong, sustainable financial productivity at attractive valuations. The Oppenheimer Developing Markets investment aggressively seeks capital appreciation. The fund normally invests more than 80% of assets in equity securities of issuers whose principal activities are in at least three developing markets. The primary objective is to seek long-term capital appreciation. The fund invests normally at least 80% of net assets in emerging markets investments that are defined as Approved Markets securities and may purchase emerging market equity securities across all market capitalizations whether it is large cap, mid cap and small cap. Choosing the right brokerage account is essential for traders or investors. Lightspeed brokerage is one of the top rated discount brokerage account for you. More brokerage review can be found below. With current trading and/or investing situation, finding a good online discount brokerage to buy stock online or build investment portfolio is important. The process of choosing the right brokerage can be a headache. 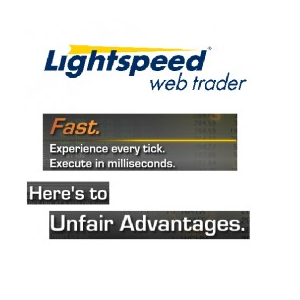 One of my regular discount brokerage I have been using is Lightspeed Web Trader. In this article, I’ll describe my knowledge using Lightspeed Web Trader. I have been using this trading platform for the past 2 months. 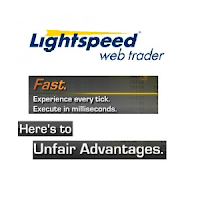 Lightspeed Web Trader – Web browser based trading platform. I’ll provide this web based review. 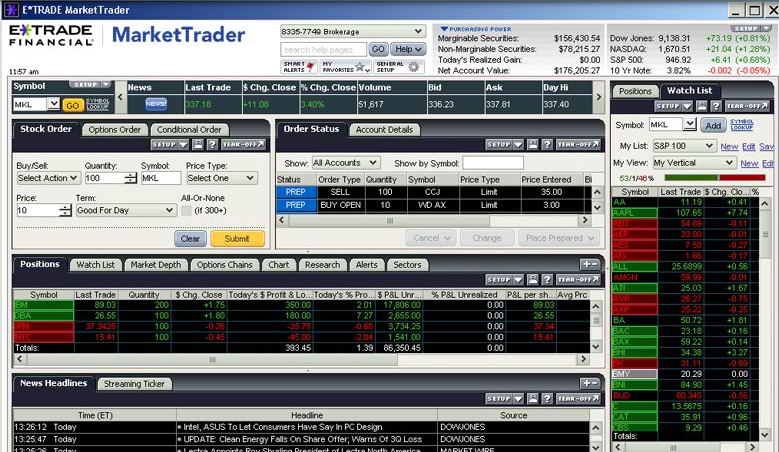 Compare to other brokerages such as TradeKing, Scottrade, etrade & optionsXpress, lightspeed trading is very competitive. 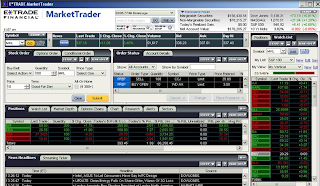 Lightspeed web trader offers product such as stocks and options. Lightspeed Web Trader has similar platform as Noble Trading web platform since Lightspeed acquired Noble Trading early this year. 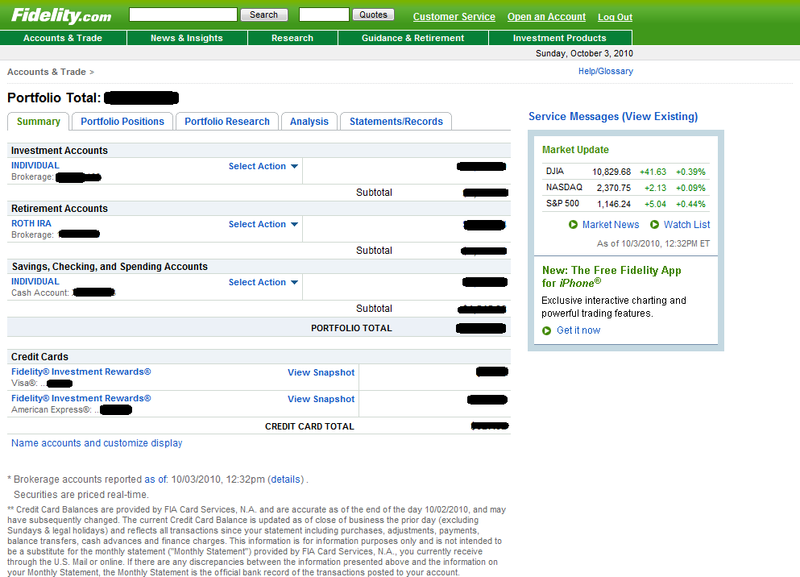 Minimum balance to open an account for web trader is $1,000 for cash account and $2,000 for margin account. There is no inactivity fee. For foreigner (non US citizen), you can open lightspeed account as well by submitting paper application. 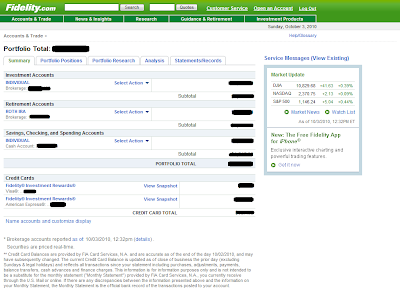 Lightspeed provides accounts to individuals, joint holders, retirement accounts (Traditional IRA, Roth, Rollover) etc. Other Fees: Wire Fee: $20.00 (domestic) ACAT Out: $50.00. Note: There is no Market Center fee for Web Trader users.